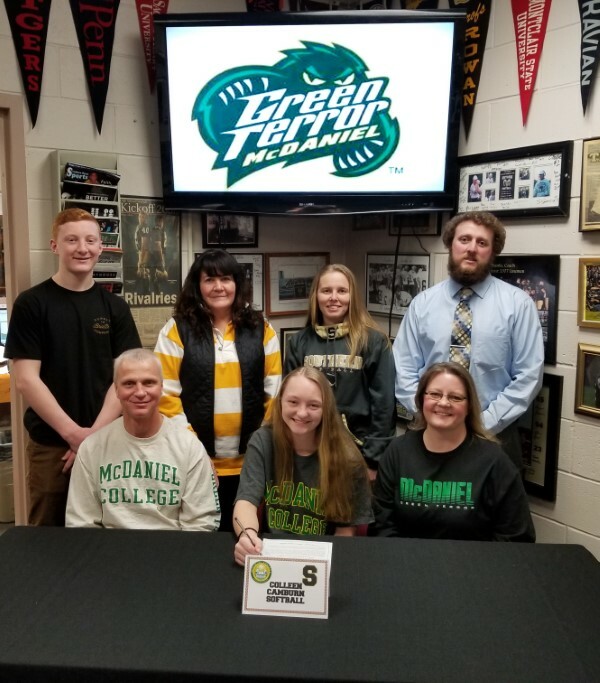 Congratulations Southern Softball player Colleen Camburn on her commitment to McDaniel College to continue her softball and academic careers. 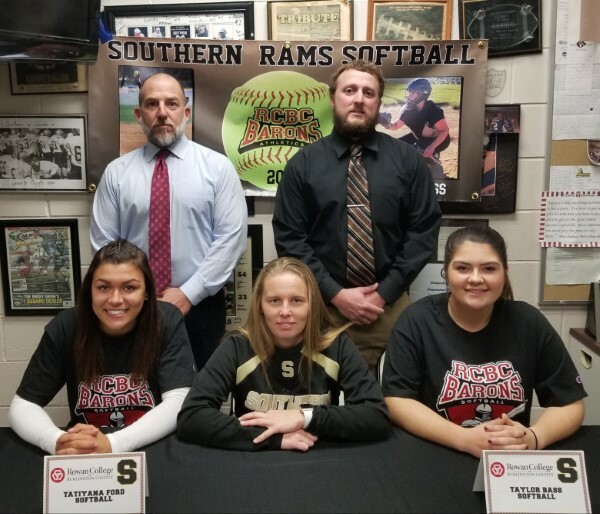 Congratulations Southern Regional Softball seniors, Tatiyana Ford and Taylor Bass on their commitment to Rowan University at Burlington County to continue their academic and softball careers. Congrats Southern Softball Senior Sarah Fischer on representing our program with class. 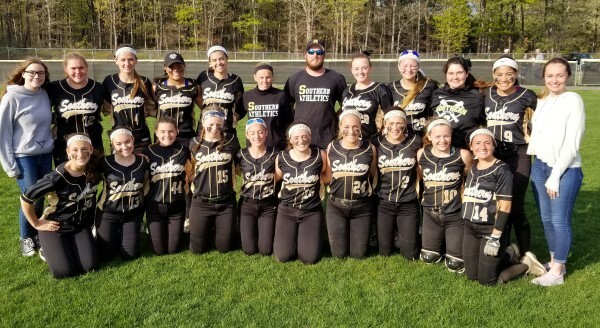 Congratulations to the Southern Regional Softball team on defeating Henry Hudson 9-8 in extra innings (9) on opening day, Saturday, March 31, 2018, to pick up their 1st win of the season. Attached is the 2016 Southern JV Softball Booklet. Congratulations on a great season. 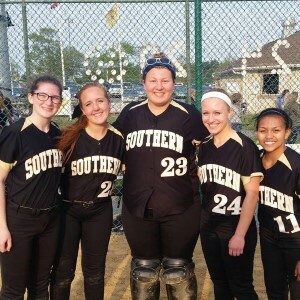 Congratulations to Southern Regional Softball Seniors being honored before our traditional game vs Pinelands on Tuesday night, May 24, 2016. The Southern Regional Softball team received the #3 seed in the upcoming 2016 Ocean County Softball Tournament. The Rams will host #14 seed Barnegat in the 1st round. Date & time are a TBA. Please check back to athletics.srsd.net for an updated schedule of game. Attached is a tournament bracket and seed sheet. Good Luck Rams! 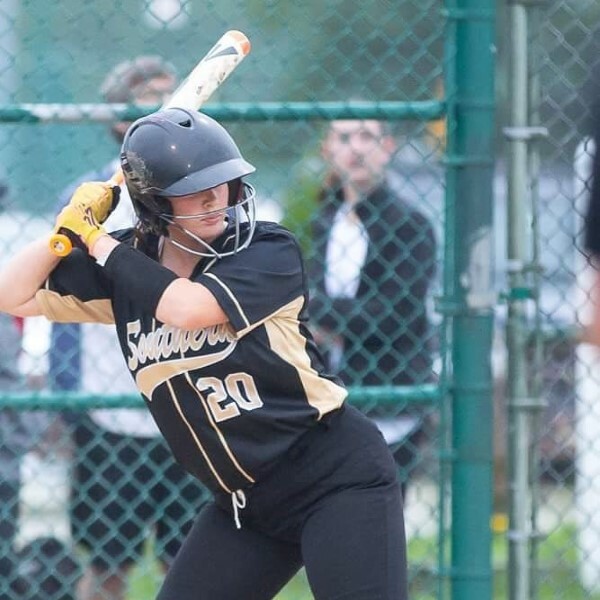 The Southern Regional Softball team has earned the 5th seed in the upcoming 2015 NJSIAA South Jersey Group 4 Softball Tournament. Attached is the 2015 Ocean County Tournament. The Rams received the #2 seed and will host #15 seed Brick Township on Thursday, April 16, 2015. Please come out and support the Rams! Thank you! 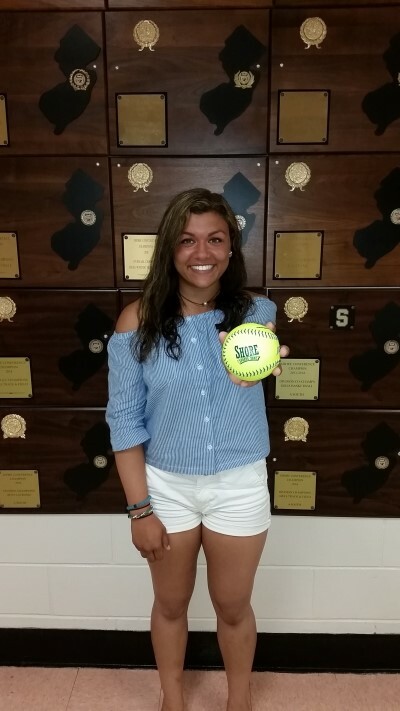 Please vote for Southern Regional Softball player Jess Hewitt as Shore Sports Zone's Softball Player of the Week. 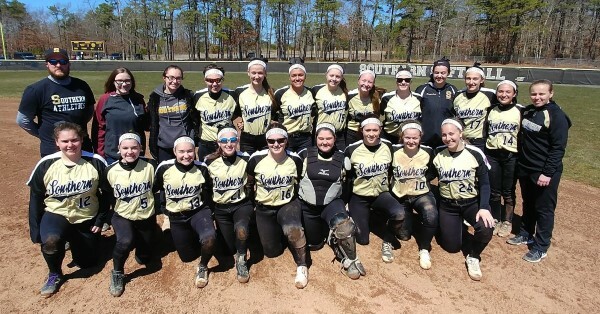 The Southern Regional Varsity Softball team received the #8 seed in the upcoming 2014 Ocean County Tournament. The Rams will host #9 seeded Brick Memorial Mustangs on Monday, April 14th at 10am. Attached is a bracket for the 2014 Ocean County Varsity Softball Tournament. Please come out & support the Rams! 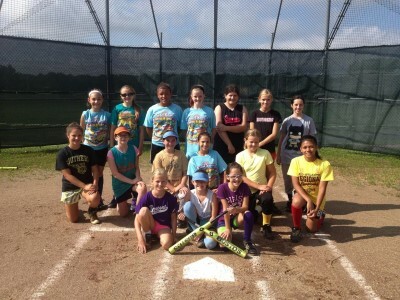 Thank you to all campers, players & coaches that participated in the 2013 Southern Softball Camp. Attached is a bracket and regulations for the 2013 Ocean County Softball Tournament. Southern received the #11 seed and will travel to #6 Jackson Liberty on Saturday, April 13th. First pitch is at 2PM. 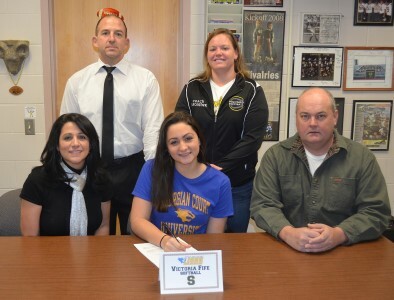 Congratulations to Senior Student Athlete Victoria Fife on signing her Letter of Intent to attend Georgian Court Univeristy in Lakewood, NJ to continue her softball career and pursue an education in nursing. Victoria is pictured with her parents along with SRHS Principal Eric Wilhelm & SRHS Softball Coach Nicole Astheger. Good Luck! 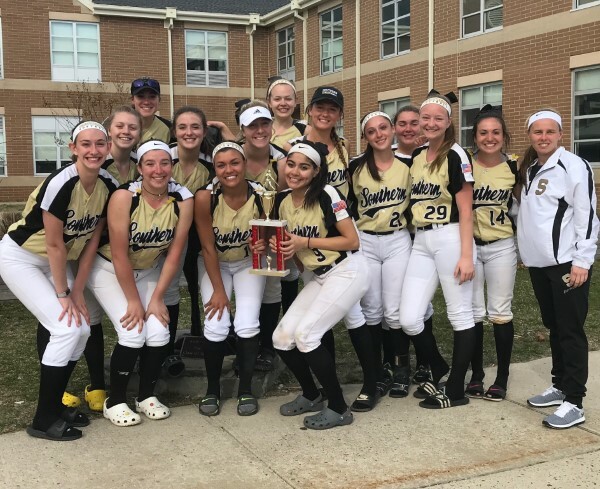 SRHS Varsity Softball will play at TR North in the 1st round of the Ocean County Softball Tournament on Saturday, April 28, 2012 at 10 am. Middle Softball is a very competitive sport. Softball tryouts are in March and a well rounded number of girls always tryout. A maximum of 20 girls can make the team. There are 15 games during the season.